Young flower just emerging from corm. Comments: Plant grows rapidly from the large corm. The corm has dietary and medicinal uses and provides several vitamins, but must be used only after careful research. A single, compound, green leaf appears after plant flowers. Petiole is whitish and mottled or splotched with green. 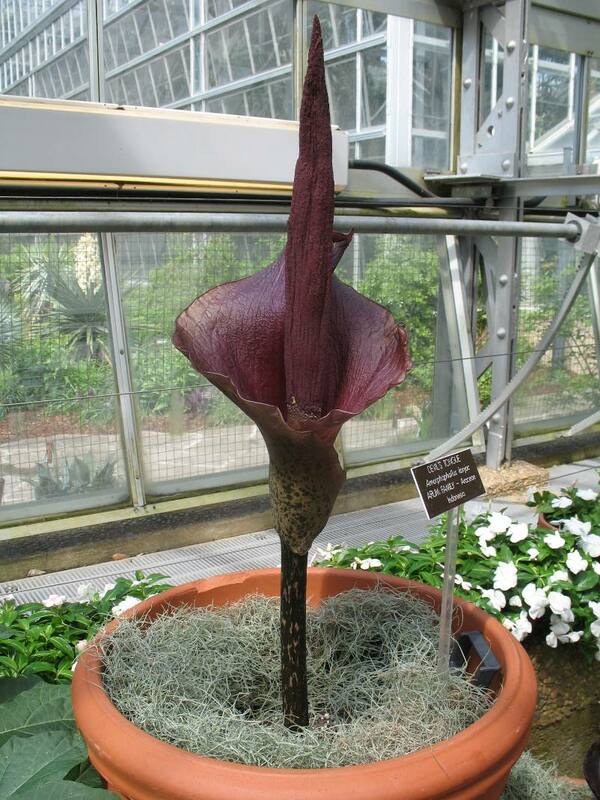 When in flower an unpleasant odor is produced.